A collection of twenty stories showcasing the supernatural legends and unsolved mysteries of Southeast Alaska, with a focus on the region between Yakutat and Petersburg, where the author has lived his entire life, writing, teaching, guiding, commercial fishing, and investigating ghost stories. Each chapter is rooted in Bjorn's own adventures and will intertwine fascinating history, interviews, and his reflections. Bjorn's writing, sometimes poignant and often wickedly funny, brings to mind Hunter S. Thompson and Patrick McManus. Chapters touch on legends such as Alexander Baranov, Soapy Smith, James Wickersham, and the K oshdaa K a (Kushtaka) to lesser known but fascinating characters like "Naked" Joe Knowles and purported serial killer Ed Krause. From duplicitous if not downright diabolical humans to demons of the fjords and deep seas and cryptids of the forest, Bjorn presents a lively cross-section of the haunter and the haunted found in Alaska's Inside Passage. Lifelong Alaskan Bjorn Dihle is a writer who's been published in the magazines Sierra, Alaska, Desert Companion, Coast & Kayak, Adventure Kayak, North of Ordinary, Earth Island Journal, High Country News, Birdwatching, Alaska Sporting Journal, Hunt Alaska, and Fish Alaska. He writes a weekly outdoors column for the Juneau Empire newspaper ("Off the Beaten Path"), a column for Hunt Alaska Magazine ("Red Gold"), and has a bimonthly column for Fish Alaska Magazine ("Cautionary Tales"). When not writing, Bjorn works as a wilderness and wildlife viewing guide, an instructor for the University of Southeast Alaska's Outdoor Studies Program and at the Mental Health Unit of Bartlett Regional Hospital. 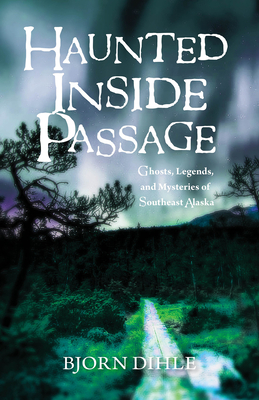 Haunted Inside Passage is his first book.